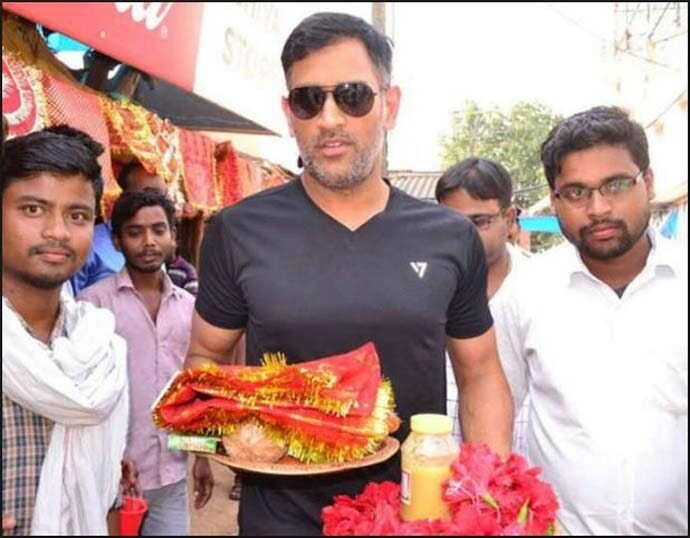 MS Dhoni has not sacrificed his humility at the altar of adulation. A folk hero now, he is still the world-famous next-door neighbor to many in Ranchi. MS Dhoni is a peculiar cricketing phenomenon. Thirty-seven years and close to 200 days old — he continues to play for the Indian team in the shorter versions of the game. Once the living symbol of savage force with the bat, he has mutated into a patient accumulator of runs. Having redefined his role as a batsman with age, he can now be expected to give company to fellow batsmen and take the team past the finishing line. That’s what he did recently, silencing critics who had been insisting that he was past his prime and must be replaced by Rishabh Pant or even Dinesh Kartik in the role of the wicketkeeper-batsman. In the just-concluded India-Australia one-day series, Dhoni scored 193 runs in three innings with three fifties, remaining unbeaten twice. It is true that he has slowed down. Those mighty sixes don’t fly off the bat, and neither do boundaries. What has remained unchanged is his mindset — he continues to pick and choose bowlers to attack, spreading panic among die-hard Team India fans by dragging the match into the penultimate over or even later. Even if wickets tumble all around him, his fans believe that he can use his magic wand to win the game for the team. How is he so fit at this age? 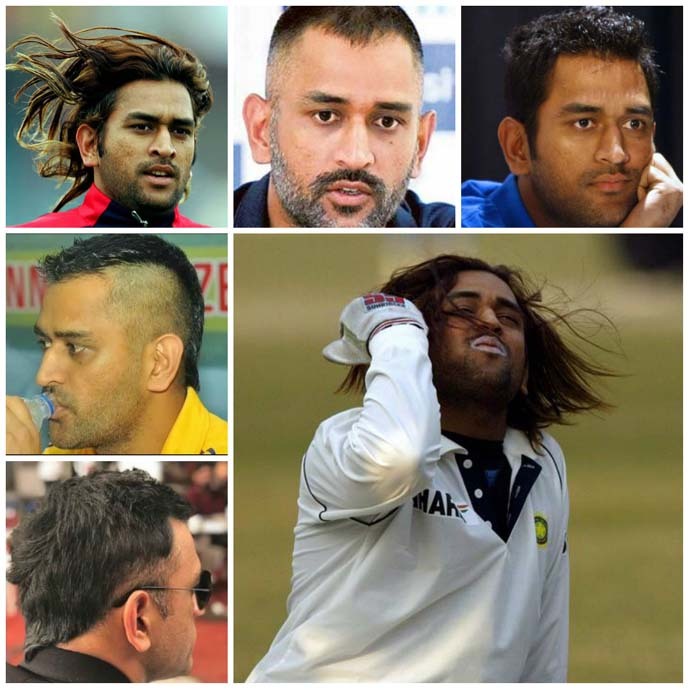 Dhoni devotees will instantly tell you that the man is a natural sportsperson. Once the goalkeeper for his school football team, DAV Jawahar Vidya Mandir in Ranchi, he can also play as a forward and dribble well enough. He is a fine shooter and plays badminton — a game in which he has been known to compete with state-level badminton players. 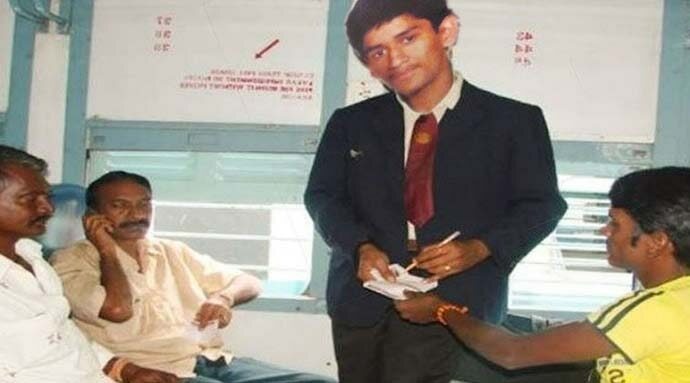 Years after he started playing for Team India, Dhoni continues to be more than just a cricketer in small Indian towns. He is, some would say, a folk hero of modern times. His unique story is a symbol of an ordinary person's desire for dreaming big, chasing those goals and becoming a winner with the help of application, talent and willpower. Aspiring cricketers from small cities see him as an icon who mostly played at the first-class level for Jharkhand, which hadn't produced top quality cricketing talent until he arrived in the scene. Born in a lower-middle-class family, he worked as a Train Ticket Examiner (commonly known as ticket collector) in Kharagpur Railway Station. Indian cricket hasn’t had a second story of a captain who worked in such a humble position to support his family, staying with his friends in Kharagpur and bathing in the open near a well. Although he was meant for bigger things in life, the story of his modest background tugs at the heartstrings even today — and makes him an inspiration for those who play the game in remote corners of the country. The cricketer, who has earned millions in the last decade and more, lives in a mansion in Ranchi’s Harmu Colony. Whenever he is in town, the atmosphere outside reminds observers of that outside Shah Rukh Khan’s heritage home, Mannat, in Mumbai. A few fans can be usually found in the neighbourhood, waiting for a split-second sighting of their favourite man in the city. Everybody insists that they have seen him a million times before. It is an assertion one must accept without asking questions. He is everybody’s 'Mahi' in Ranchi. In his young days, the cricketer lived in a tiny flat in MECON Colony. Close to that flat, whose occupants have changed over the years, there is a field in which youngsters play cricket and football. If one is fortunate, one can find a batsman who is desperately trying to hit his now-famous helicopter shot, which Dhoni had picked up from his deceased friend Santosh Lal as a young cricketer. His cricket-playing followers don't seem to understand that the helicopter shot is effective only if one has the twin gifts of power and timing. They go on and on, trying, missing, top-edging, and trying once again. Call it the Dhoni effect. His fans in Ranchi, which means every cricket lover in the city, are astonishingly well-informed about him. Auto drivers and waiters tell stories about the saloon where he went for a haircut (one Manly Beauty Parlour) and what he preferred to snack on as a young lad. He goes to offer prayers at the Deori temple, where any news of his imminent arrival gives rise to enormous excitement. Elsewhere too, he has an extraordinary fan following. Be it Ranchi or Pune, whenever Dhoni turns up for an IPL match, half the stadium has turned into an ocean of yellow, the team colour of Chennai Super Kings (CSK). Eardrum-splitting noise when he is at the crease is normal, and it shoots up several notches when he propels the ball out of the ground. IPL is a noise fest, no doubt about it, the difference being a Dhoni shot increases the volume by several degrees. MS Dhoni is more instinct-driven than most cricketers in the game’s history. His wicket-keeping technique is unconventional. His batting is a purist’s nightmare. But he catches the batsman either off-guard or out of the crease and stumps faster than anyone else even today. He is one of the fastest runners between the wickets. And he continues to be poised and focused under pressure, two inborn qualities that have helped him plot many wins for his team. That is why his fans love him. He is closing in on 38, which is considered pretty old for a cricketer at the international level. Known for changing his hairstyles from time to time, he often leaves patches of grey uncoloured and steps out to play the game now. He comes across as a relatable, nice guy, who hasn’t sacrificed his humility at the altar of fame and adulation. He is, for his fans, their world-famous next-door neighbour.